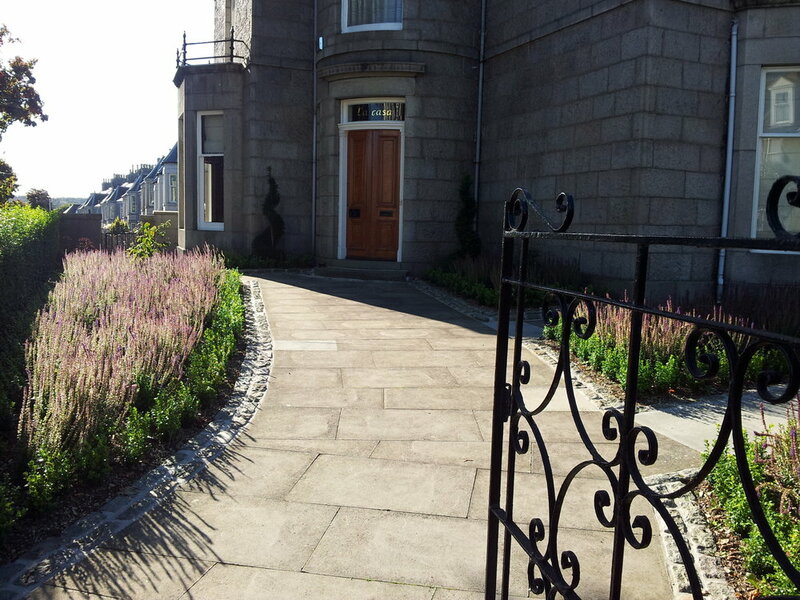 The client had spent time and effort renovating her Victorian end terrace house and now wanted the front garden to better reflect the period of the house and be a suitable entrance to her home. 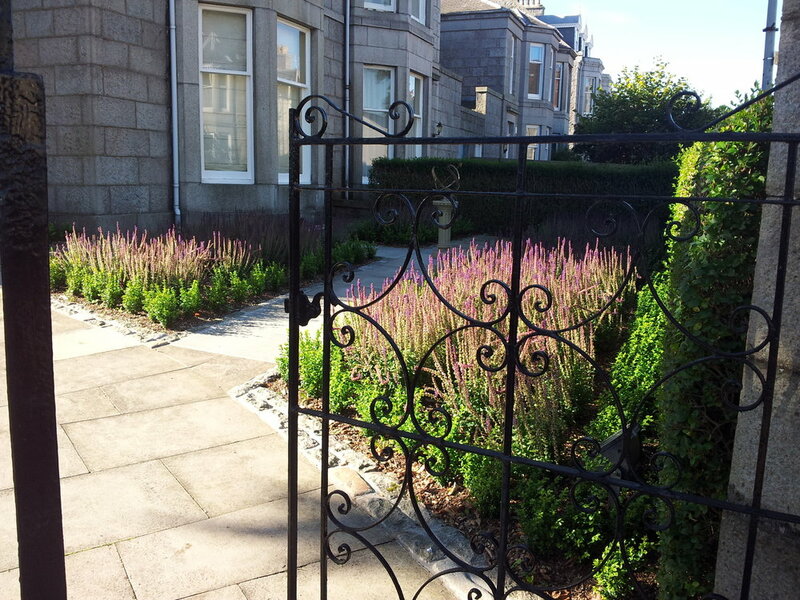 The main path was to be retained but the slabs and granite setts were lifted and relaid. A new focal point was added and the tired lawn removed, replacing it with formal box edged borders which were planted with a succession of bulbs and Salvia 'Cardonna' for its beautiful colour and long lasting display. The design idea was to create a formal garden with box hedge boarders and blocks of neat planting which was common in the Victorian era. The main path was to be retained but the slabs and granite setts were lifted and relaid. A new focal point was added and the tired lawn removed.